If you can’t find the answers online, you’re in the right place. We managed to cover most of the popular models currently on the market, and you can rest assured that they work and perform as advertised. Instead of collecting information all around the Internet, you can find the much-needed info in one place – right here. Makita is a well-known manufacturer of power tools. They have been on the market for decades now and are widely known for manufacturing top quality machines that are at the same time quite affordable. Needless to say, the 5007MG model isn’t much different from the other Makita products when it comes to the build quality, accuracy, and smoothness of performance. It’s a great piece of equipment both for professionals and DIY-ers. The design is somewhat conventional and not particularly impressive. However, some components are surprisingly effective and worth investing in. For example, the large hand grip seems quite irrelevant to many people, but the truth is that it helps quite a lot with both fatigue and vibrations. Even though it’s not cushioned, there is a rubber coating on the hand grip to prevent slipping and decrease the amount of vibrations. The balance of the whole unit is good thanks to the powerful 15-amp motor that’s able to deliver up to 5800 RPM. Due to the weight disposition, you’ll be able to supervise the cut while going through it thus reducing the chances of something going wrong. The positive stops are at 22.5 degrees and 45 degrees. The cutting capacity is quite large 2-1/2 inches at 90 degrees. In other words, you don’t have to worry much about the size of the wood you’re planning to process. Safety is at a satisfactory level, especially if you’re not planning on tackling massive pieces of wood. Some professionals might have a problem with the lack of auxiliary safety features, but the unit can be regarded as absolutely safe despite the minor safety shortcomings. There is a dust blower integrated into this unit, but it’s not a rare thing to see in this price category. While it does function quite well, there’s nothing impressive about it. In fact, you shouldn’t expect a miraculous performance because these machines usually don’t focus on extracting dust. Therefore, wearing safety glasses is highly recommended. The first thing we liked is the versatility. It’s quite a versatile and all-around unit thanks to the sheer amount of power and large cutting capacity. Also, the build quality is great due to the magnesium components within the case. While other models tend to weigh over 15 pounds, this one weighs only around ten meaning it’s one of the lightest Makita’s models. The positive stops are good, but the engineering team could have done a better job with the levers. However, it’s nothing you can’t overcome in a matter of minutes. The price is something we have noticed right away. Even though one expects a hefty price, Makita surprised us once again with their quality-to-price ratio. Therefore, even if you’re on a tight budget, this model should seem accessible. Truth be told, there aren’t many things we didn’t like about this unit. One thing we think they should have done better is the safety aspect. Even though there are plenty of safety features, some like the electric brake are lacking. It’s not a particularly big deal, especially for the more experienced individuals, but we recommend handling the machine with care after you’ve turned it off because it won’t stop the blade immediately. As far as we are concerned, the 5007MG model is the right choice for a vast variety of applications. People who bought this particular unit seem pretty pleased with it, although some said it came with missing parts. There’s no need to worry about that because it’s probably the shipping company’s fault instead of being Makita’s. You can rest assured that the quality control department works well. If you’re looking for an entry-level machine for occasional projects, this unit might seem interesting to you. It’s affordable, efficient, and most importantly – easy to use. However, if you’re not an experienced user, we highly recommend reading the manual and taking all the necessary precautionary measures before turning the saw on for the first time. Even though all of these units work on a pretty similar principle, there are always some differences you should be aware of. The large cutting capacity will help you with some big projects, while the 15-amp power motor tackles dense wood without breaking a sweat. 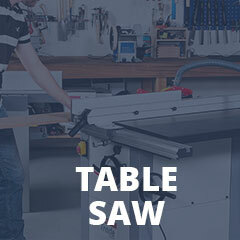 This particular saw is a great choice for people who are replacing their old circular saws but don’t have the time for an extensive research. If you don’t like what you see, feel free to check our other reviews out, you might find something of interest.